We are proud to be your college & career connection! There is so much going on at CVCC and we don't want you to miss out! Consider "liking" us on Facebook, "following" us on Twitter, or "link" with us on LinkedIn. The best way to stay updated, however, is to receive our e-Communications. 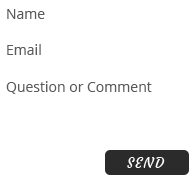 By signing up, you'll be able to create a profile and tell us what kind of information you're interested in receiving. We care about your privacy and will only use your email for purposes of sending you information about CVCC. Your contact information will not be shared with other groups or organizations.